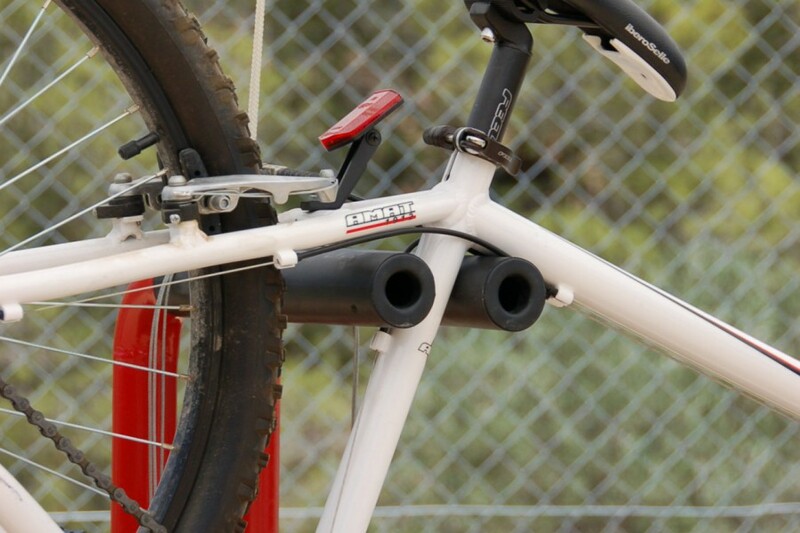 Autotaller we supply the tools to fix some minor damages to the bicycle. 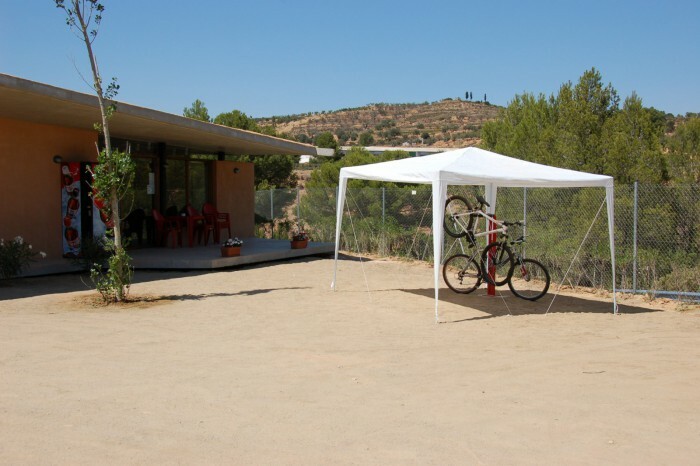 Anyone Greenway Terra Alta, either the camper or Terra Alta can not use them. 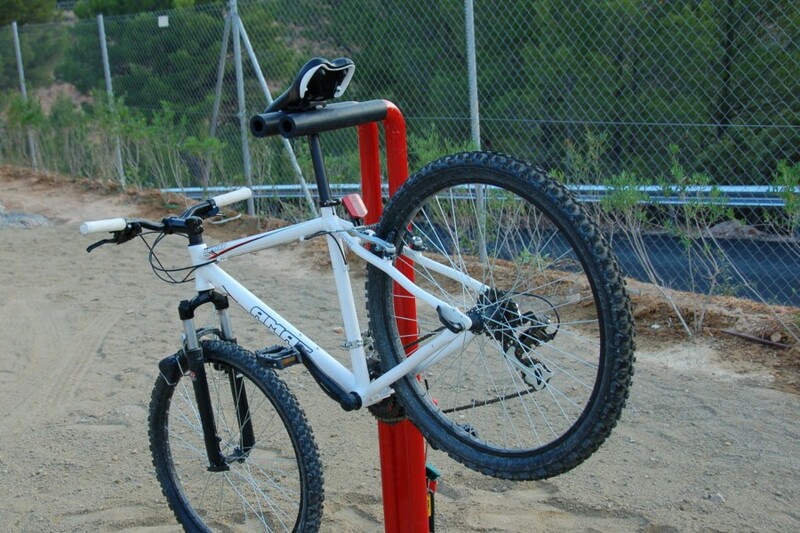 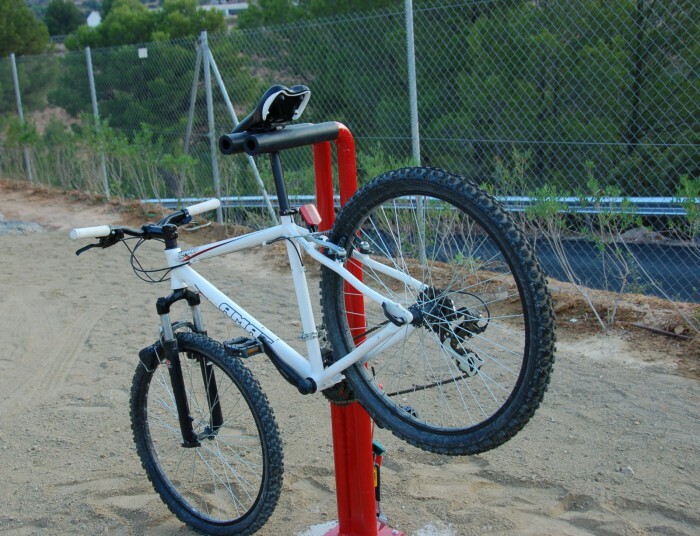 It is a device that allows placing the bike so that we can work. 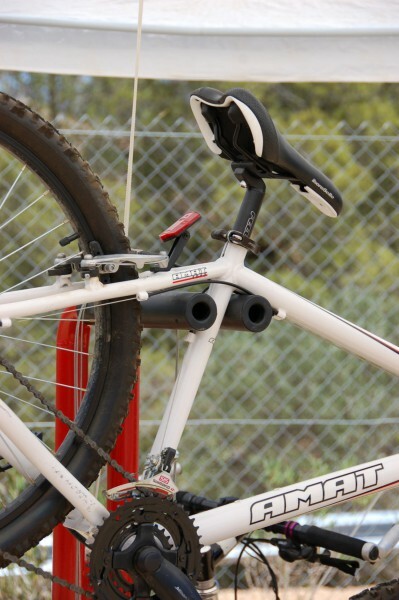 In addition, has incorporated some keys that provide a change of tire, fix a puncture or regular brakes, entre altres. 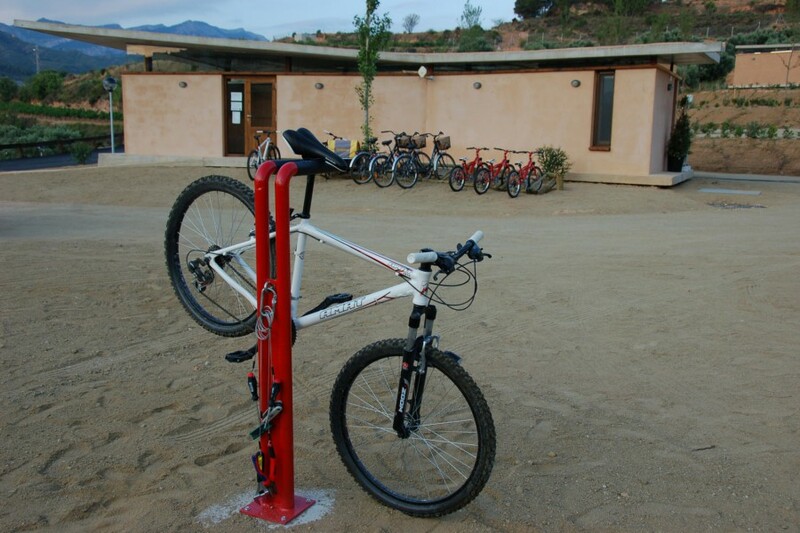 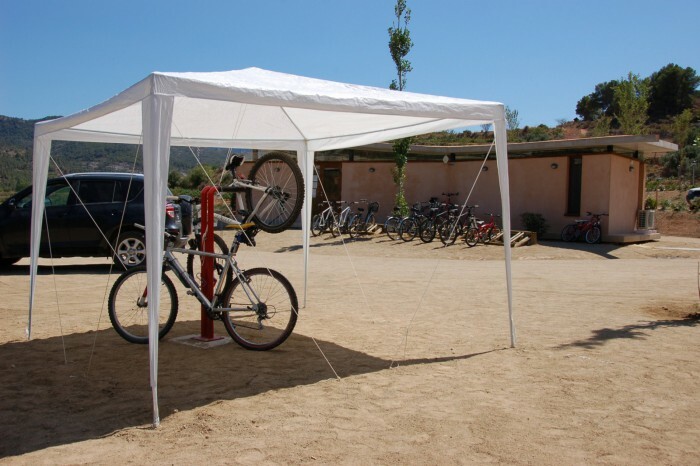 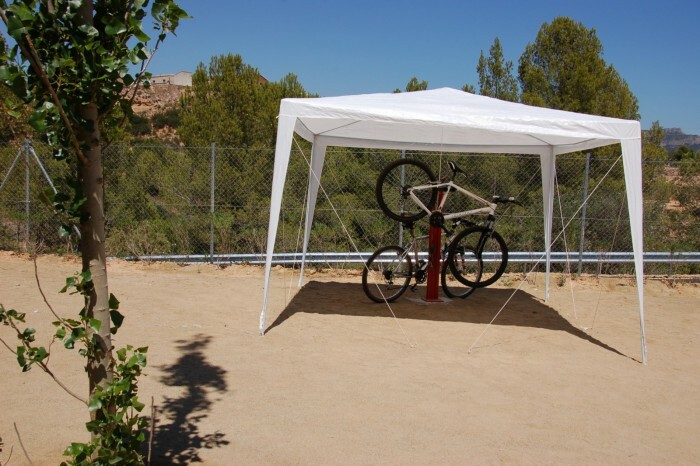 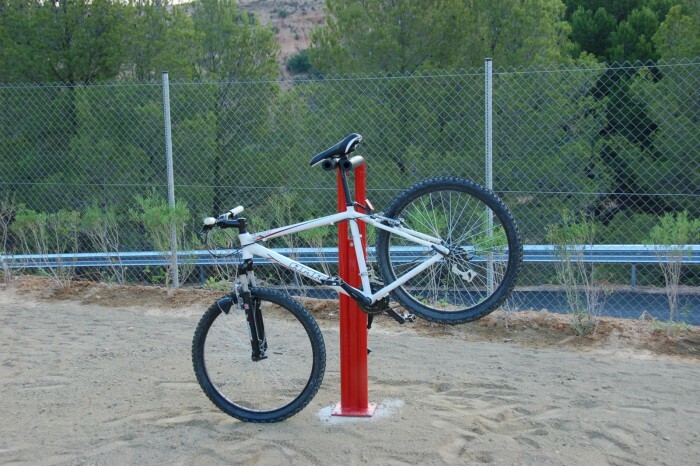 No ho dubtis, if you have a breakdown during your bike ride to Terra Alta, Go by Terra Alta Campground no obligation. With this service we want to improve the facilities at the Greenway because we found the need to supply services to users. 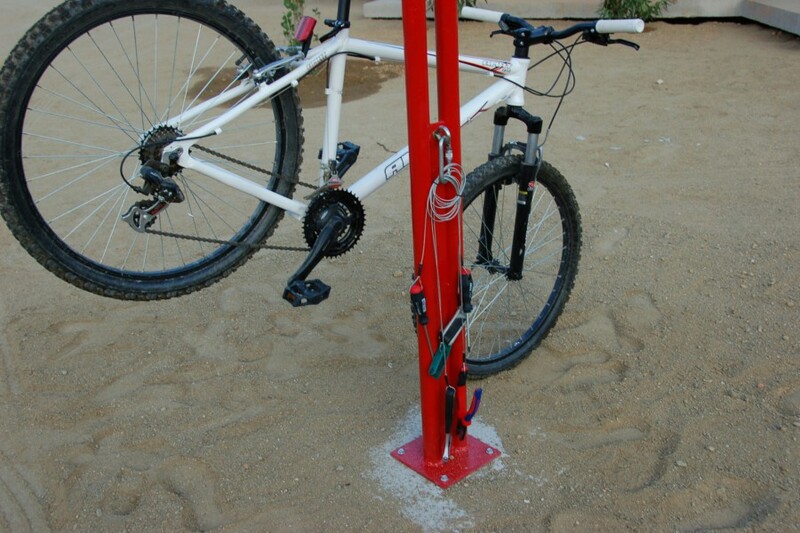 The strategic location of the town Bot respect Greenway, makes it the best town in which to fix your bike, drink or go buy some typical product, breakfast, eg.